Quite an interesting discovery — I have checked my copy of the DVD and the scene does appear to be there. As one who frequently talks to himself, I vote for a lady either shielding her eyes from the sun or holding a hearing aid, but definitely talking to herself. So we have it then – A time travelling, hard of hearing folk singer talking to herself about shielding her eyes from the sun! Excellent, I always knew we could rely on The Bioscope to clear things up. 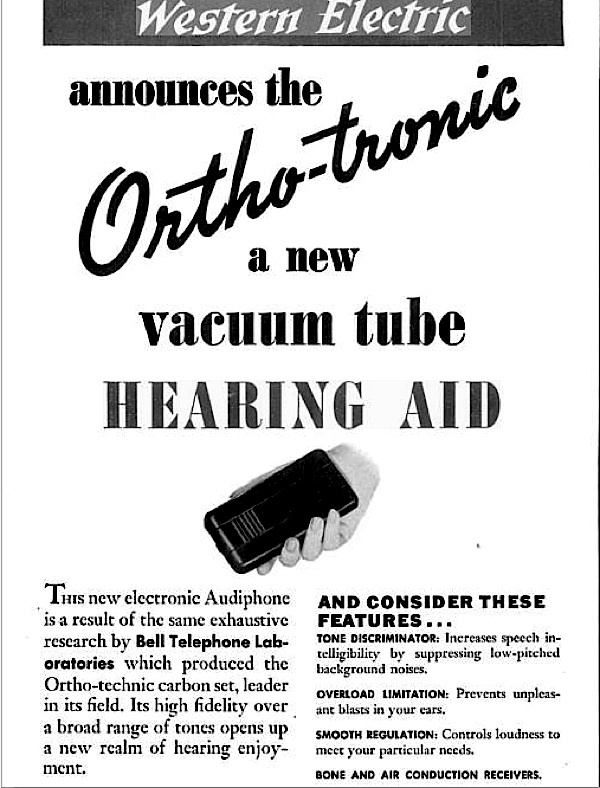 The Western Electric Ortho-tronic hearing aid looks uncannily like a mobile phone. Could she be using it to be able to hear what she is saying to herself? There’s a sort of logic to it. But I still like the folksinging / sunshading theory.